Perform experiments with a pendulum to gain an understanding of energy conservation in simple harmonic motion. The mass, length, and gravitational acceleration of the pendulum can be adjusted, as well as the initial angle. 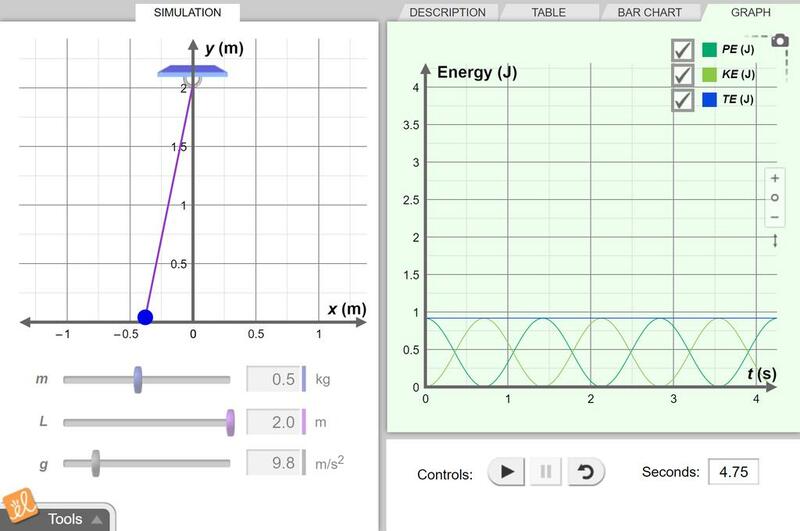 The potential energy, kinetic energy, and total energy of the oscillating pendulum can be displayed on a table, bar chart or graph.